The Town Council has agreed specific aims and objectives. These are in the Annual Action Plan which is decided and approved by the Town Councillors. The Town Council is made up of nine Councillors who represent the three wards of North, South and West Grange. Councillors are unpaid and serve a term of four years. Meetings of the Council are open to the public and there is the opportunity for members of the public to speak at the start of each meeting in the 'Have Your Say' item on the agenda. 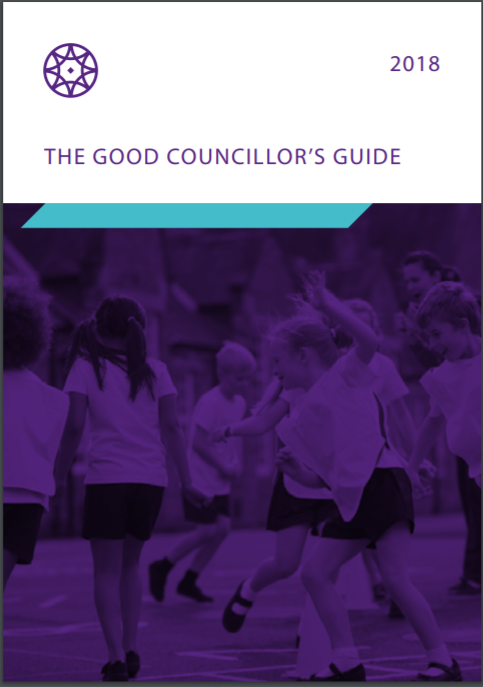 The Good Councillor's Guide is written and produced by The National Training and Strategy for Town and Parish Councils, giving information to new councillors and also to anyone considering becoming a councillor within the local community. Click on the image to download.